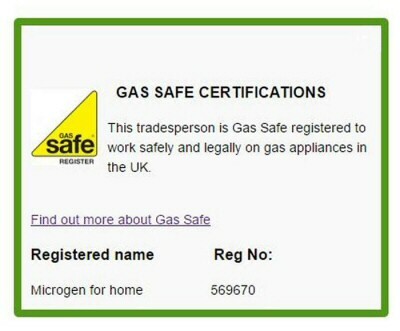 Microgen for Home and Business offer first class plumbers and heating engineers in Lincolnshire and the Midlands. Our dedicated teams of qualified plumbers and heating engineers are ready to make a difference to your home or business premises. Embrace the new renewable energy technology and call us to find out more about Microgeneration, the small-scale generation of heat and electricity by individuals and businesses to meet their own needs. Our plumbing team are experienced in general plumbing work and emergency plumbing for the home or workplace. Contact us for more details. Biomass Boilers, Solar PV, Solar Thermal, Air Source Heat Pumps and Ground Source Heat Pumps. For your general heating requirements our heating engineers are Gas Safe Registered and qualified in all forms of heating repair and installation. If you would like to arrange a visit to your home or business premises, please contact us using the Contact Form above, Telephone: 01636 627165 / 01283 760107, or Email: info@microgenforhome.co.uk. Kevan and Zoe will always try their utmost to tackle your heating / plumbing emergencies or to arrange a quote for new installations.